This story won't be about following a managers story, but about following the growth of a club and it's footballing dynasty. The idea is simple, we start of with one main (European-based) club, which will be revealed later on. Next to this club i'll start of with two smaller clubs, which will serve as personal feeder clubs (A bit like a personal FFA COE), once again these clubs will be announced later. The idea is to use this network to it's full potential and to take over football. Like i said, it won't be about one manager, more about a different approach to the game. The way it will work is quite simple as well. We start of with these 3 unrevealed clubs and later on we'll (possibly) add more, depending on how things go. Along our way to the top we use some different approaches. Although unethical, the idea is one that makes fortunes, loaning out players for a bit of money and playing the numbers game and making a lot of money that way. Good old Moneyball, buying players on the cheap, selling them on a high. Once again an idea that's simple. The most unknown out of the three, Pozzo-model is after Italian businessmen, who are the owners of Watford, Udinese and Grenada. Their idea was scouting players in obscure nations and selling them for profit and allowing that profit to be reinvested in the club or one of the other clubs. As our main club in this story i've chosen for Servette in the 2nd Tier of Swiss football. Why? Simple, Swiss football have quite an easy ruling regarding foreigners and the competition itself is good enough looking at European qualification. Généve is the 2nd biggest city in the country and doesnt have any top-flight clubs anymore, giving a lot of potential supporters, Servette can also be considered a "sleeping giant" in terms of Swiss Football and, let's be honest, who doesn't love a good old sleeping giant. My two feeder clubs will be: U.C.D. and Sacramento. Why? U.C.D. is a Dublin-based University and could be a nice way into the UK. Sacramento on the other hand is based in USA and could be fantastic for commercial reasons as well as giving me a team in Northern America, which can be helpful with the Pozzo-model. I do like the idea behind this, looking forward to seeing how things progress. Ofcourse there has to be some sort of team behind the idea. 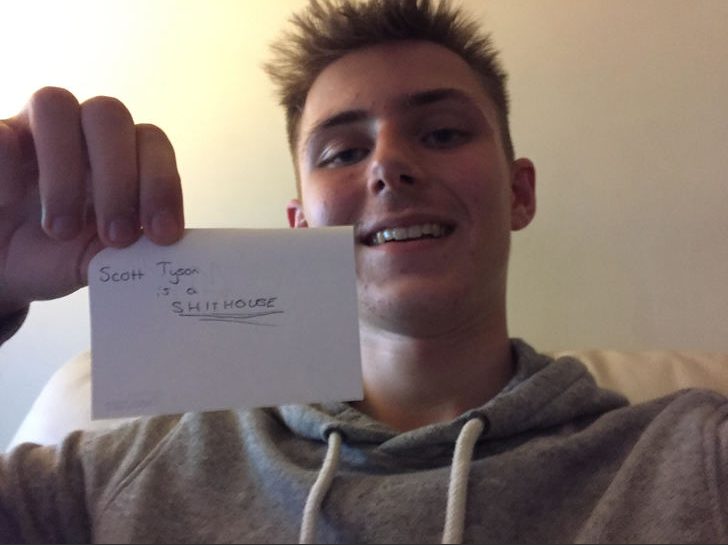 First of all the Chairman and acting as a CEO, we have me, Sybe van der Putten, the brains behind the idea. Pretty much every decision that has to be made is done by me, If it's selling a youth product for 10 euro or if it's buying a new club. Everything in the end is decided by me, but to make that decision i'm listening to serperate view points, because having to look at every single scenario which can happen with the purchases. First of all is a financial view point: Of course looking at finances when making big purchases is important. The financial department looks at the current fiancial situation. They look if the money reserved for a purchase is justified, as well as making sure the money can't be better spent elsewhere. Secondly we have the Assests-department: They look at the players at our disposal and look mainly at transfers. For incoming transfers the assets-department look at current players and compare them to possible transfers. For outgoing transfer they look at the impact it has and predict what happens with the olayer in 2-3 years purely looked at value. Last of all we have our scouting department: Although every club has their own scouting set up, we share knowledge. This is where the scouting department comes in, they look at every available scouted player and compare the players, based on attributes and stats as well as things like age and reputation to try to look which player would be better long-term for the club. 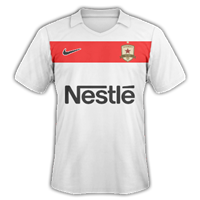 It's Nestlé, with our main club being situated in Switzerland there is no better idea then using a Swiss company. Nestlé will be our main sponsor, their name will smoothly be linked to the club name and will be linked to the stadium name and sponsor the idea from the background. Because we don't want to make as Red Bull and strip the former clubs of their identity, so we'll keep the clubs identity as we will keep the name in most parts the same and we'll keep the former club colors as well as the badge. U.C.D. will be named Univesity of Dublin Nestlé Centre of Excellence or Dublin NCOE. Sacramento will be renamed to Sacramento NCOE. 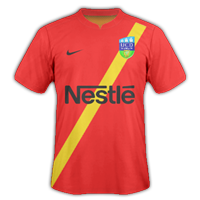 Nestlé will also take care of a new stadium for all teams. Nestlé Arena will be the New 45000 seat stadium for NSV Servette. Apart from the stadium (which will be owned by NSV Servette) Nestlé will give a fixed amount of 500.000 euro every year to NSV Servette and 40.000 euro to the two NCOE's. NSV Servette will also give an annual fee of 75.000 euro to both NCOEs. To start with NSV Servette will have a balance of 1,5 million and both NCOEs will start with 100.000 euro in the bank. I hope this explains the (boring) details a bit, any questions can be asked here and i will do my best to explain the sitution more clearly. Boring? Far from boring. I loved this, Nestle Servette...What a name. Fantastic choice of sponsor too especially after you were so hard pressed in finding one. Ofcourse getting the name out there is important for a brand new company and for a club as well, marketing will be key for us in order to make money. That's also why we decided to have our main club in Geneva, a, for swiss standards, highly populated area with a lot of potential supporters. That's why we've chose to have one of the feeder clubs situated in the capital of Ireland and why we've chosen Sacramento, because a club in the USA is huge looking at commercial standpoint. That's why we as a group decided to have kits that are clean cut and easy on the eye as we want the kits to represent what we not only as a club, but as a group. 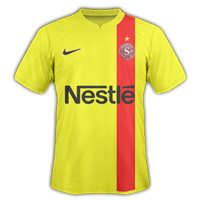 With NSV Servette we've chosen to honour the clubs past colours in the home kit, for the away kit we chose a simple white design, making the kit look clean, which was our goal and the third kit is a reference to red/yellow flag of the canton of Geneva, which is where our club is located. 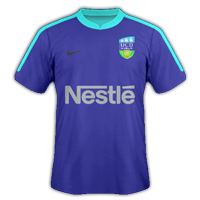 As for Dublin we took the clubs colors for the home kit in a simple but neat Darkblue/Lightblue design. 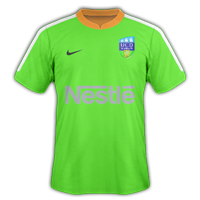 The away kit is with it's Green/White/Orange flag a reference to the Irish Flag showing that, although the club isn't owned by an Irishman, it still is Irish. Lastly the third kit is simple red color with one golden stripe, which is a reference to the golden harp of Ireland, which you can also see on the badge. Last of all we have Sacramento, as for Sacramento we took the clubs colors once again and used them in the beautiful home kit, The second kit is with it's colors a reference to the two main colors in the flag of Sacramento and the Third flag is a reference to the Califronian flag, with it's red stripe on the white kit. I like how you've kept to the roots of all 3 clubs here, would be a very important system for keeping the current fans happy and inviting new ones into a great tradition. I concur with Aaron here. You are reading "Project S".